“Federspiel” (which literally means “falconry”) is a quality designation for the wine of the Wachau region of Austria, where most of the musicians in Federspiel more or less grew up, or at least have spent some time (which is hardly surprising, if you know what the Federspiel wines from the Wachau are like). 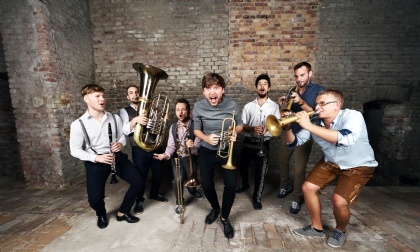 Without any fear of contact, the seven-piece band combines Alpine folk with elements of world music. Their own compositions largely refer to the musical and biographical roosts of the musicians, and determine the overlap between tradition and experimental joy ever anew.